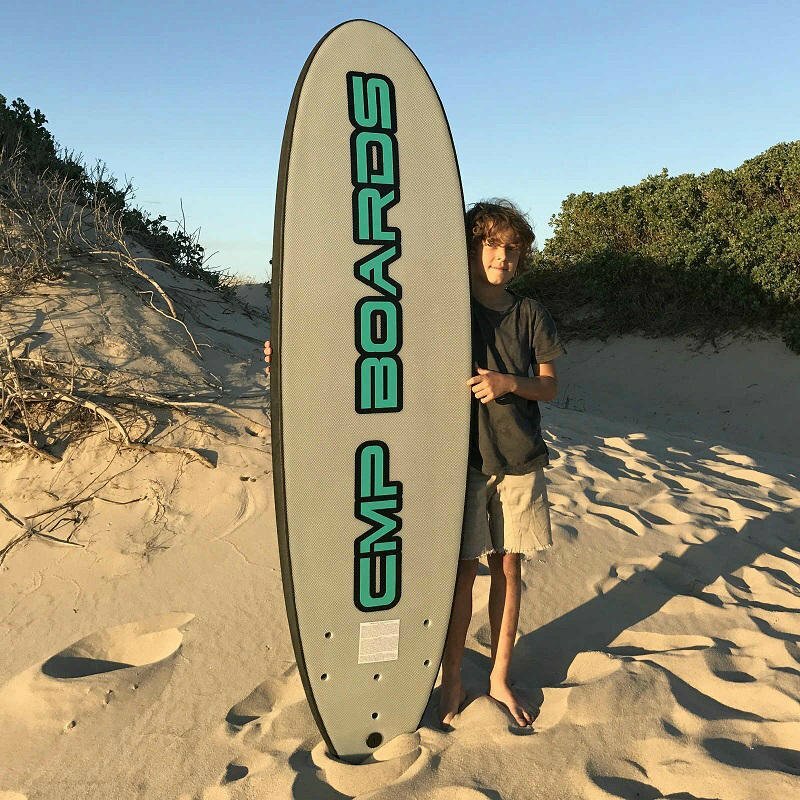 EPS Core –There are 2 important elements to a CMP board and why these are sold to surf schools as a high quality commercial board 1) A waterproof 22kg EPS Foam Core Blank makes up the centre of the board. This is light weight and top quality foam. 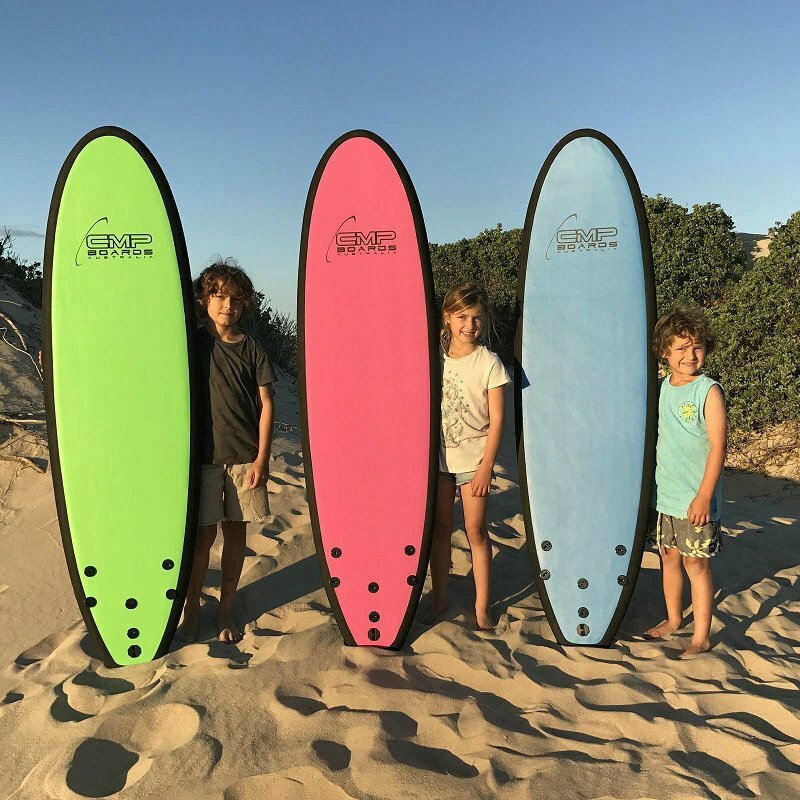 2) A 20cm wide Fibreglass stringer is reinforced by two layers of 6oz fibre-glass sheeting over the standing area of the board making it ultra-tough and adding flex to the board. 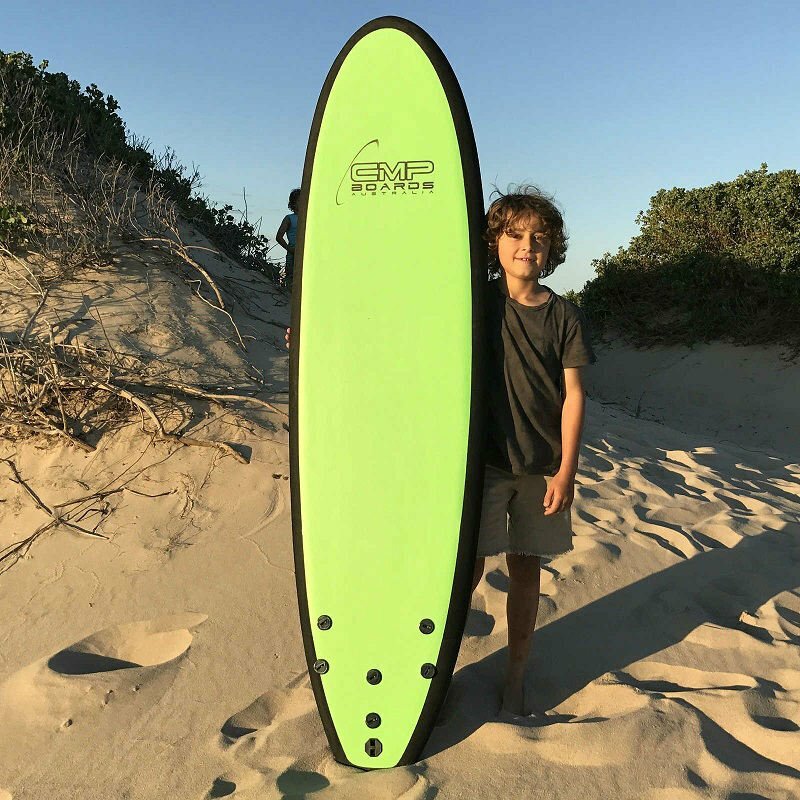 If you are shopping for a new surfboard, this is a low impact board especially designed for you. 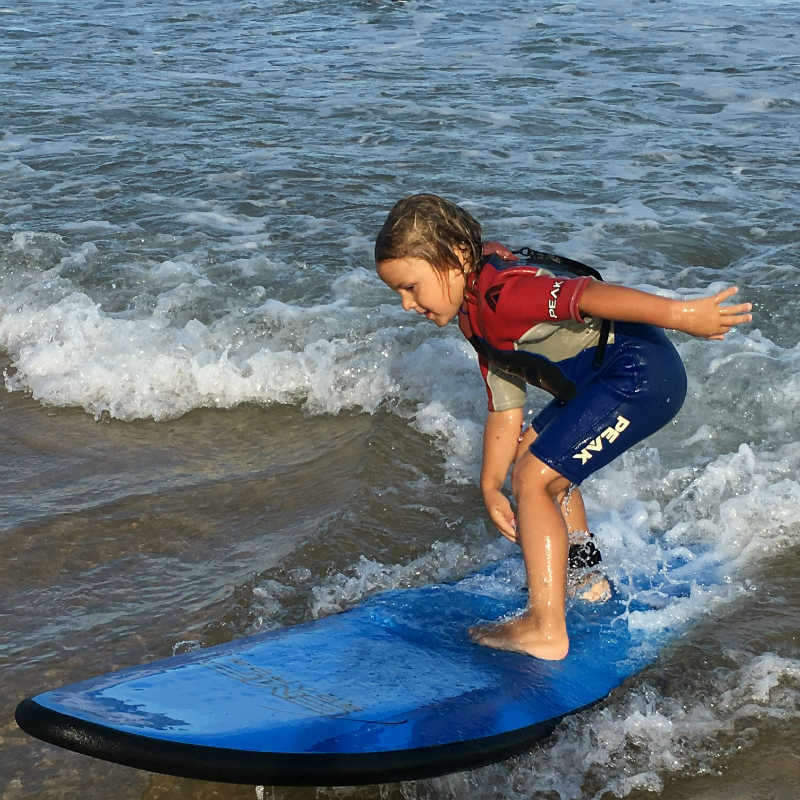 Shaped like an experienced surfer’s board around the edges, its rocker profile will help you learn faster while having the same feel as a surfboard. 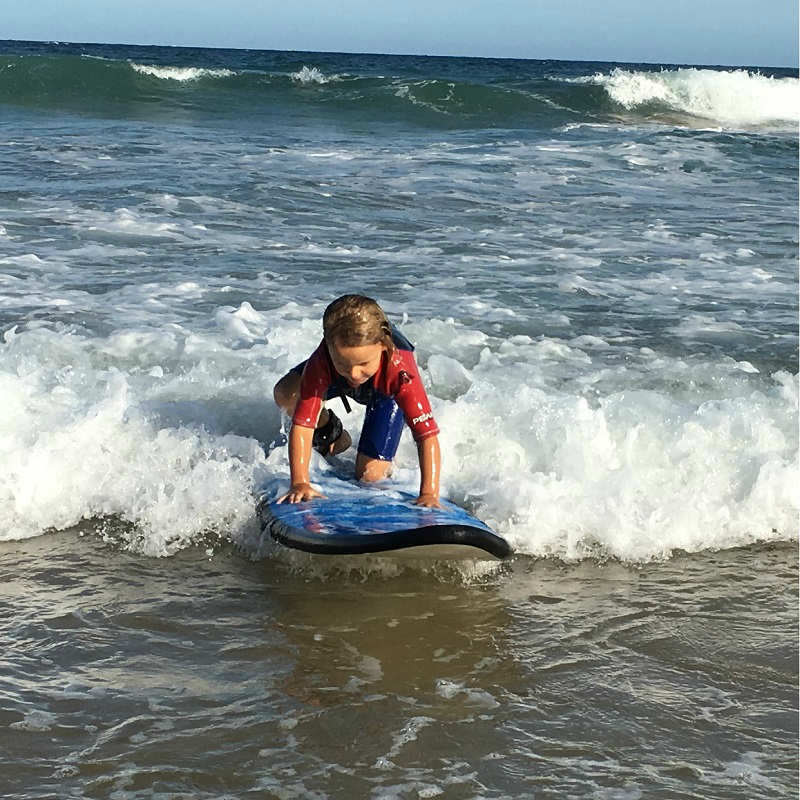 It has a soft foam core that gives you the edge when trying to get onto a new wave or simply wanting to paddle faster. 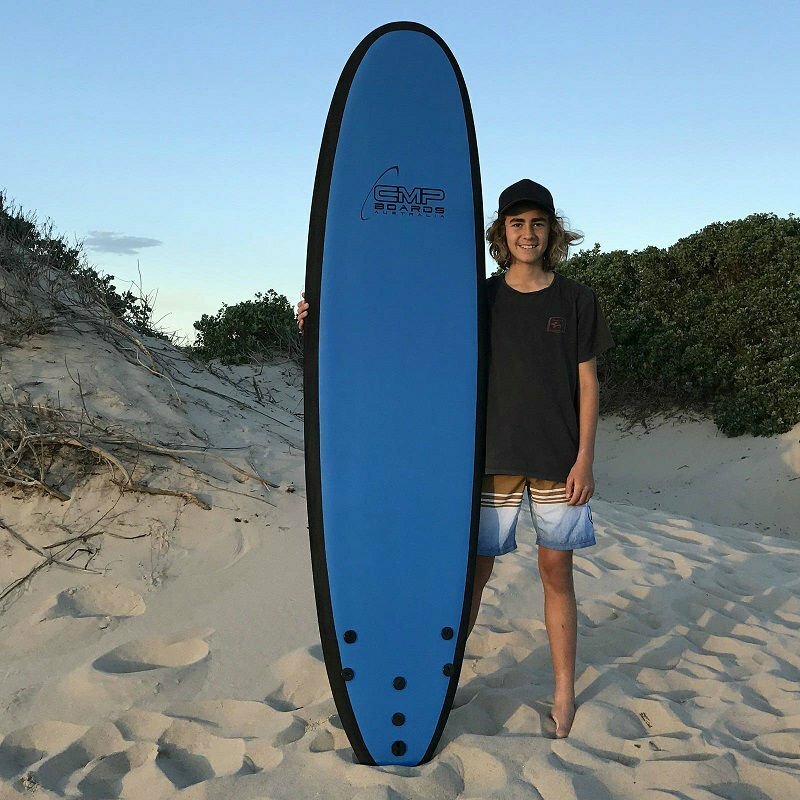 It also has high buoyancy and a wider squaretail that makes those new waves easier to handle because the board is more stable. 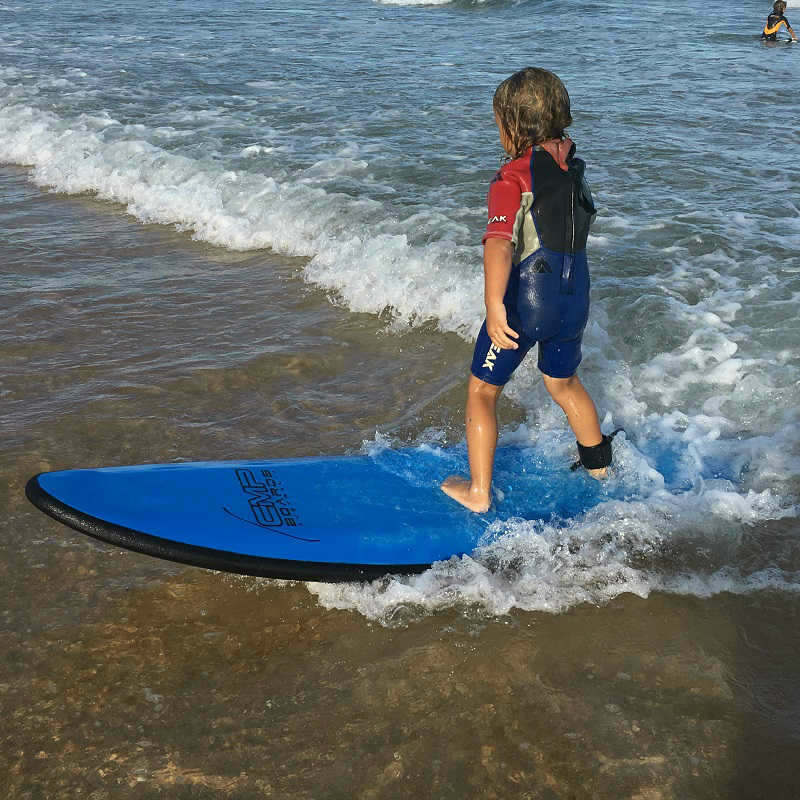 Add in the Tri Fin system and you have a board that is both fun to use and manoeuvrable. 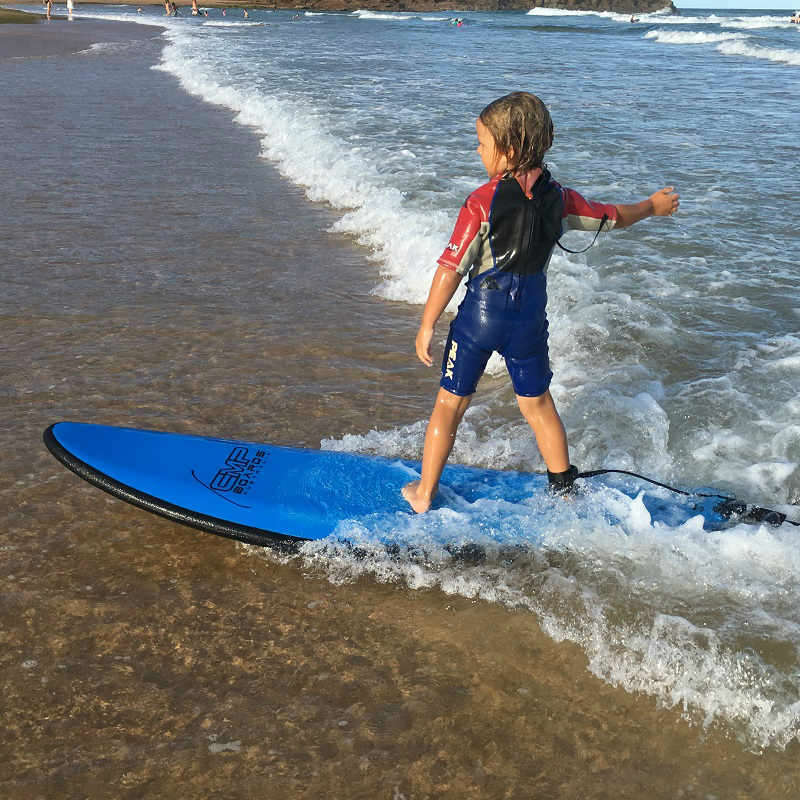 For your money, this is the beginner’s choice because it combines safety with an experienced surfer’s feel. 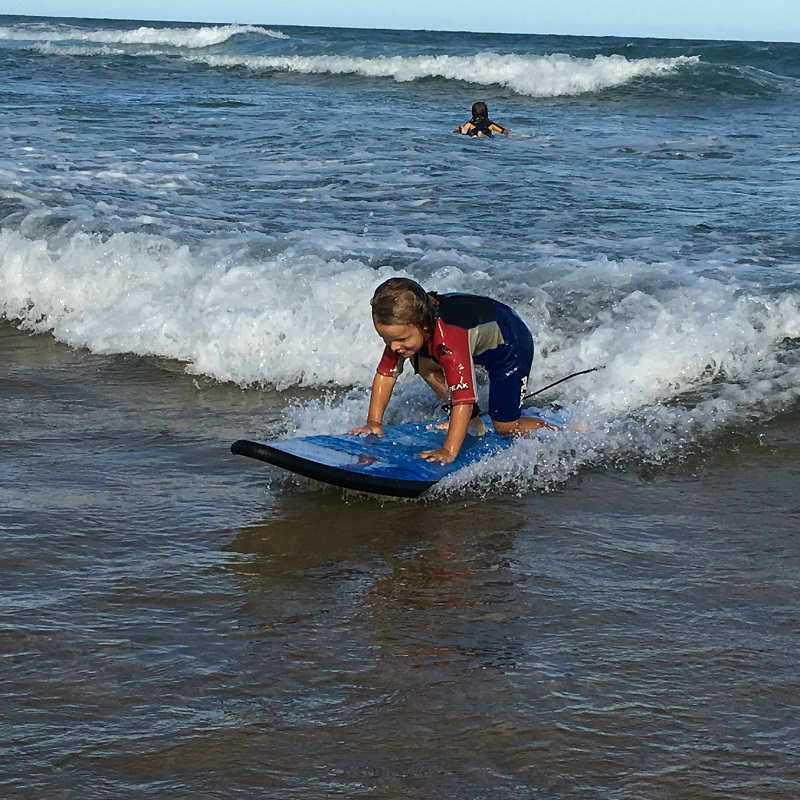 Overall, its construction will help make learning to surf much easier.